Tesla owners have constant updates that bring improvements to look forward to and the company's CEO Elon Musk is often the first to break the news of these updates. Late Thursday night, the genius himself appeared on the JRE podcast which is streamed to thousands of viewers on YouTube. 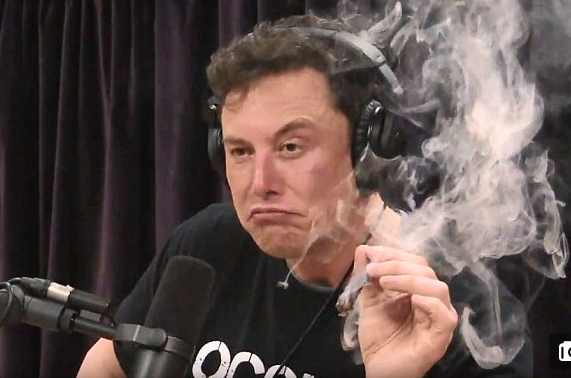 Elon admitted to the show's host he virtually never smokes weed but he seemed curious about the blunt and cautiously took a hit. A Twitter user asked Musk whether he could "add a feature to V9 to turn off screens in the car while driving only showing speed. Tap to turn back on." Based on the billionaire's response, it sounds like Tesla is working on a new mode that would darken screens inside the vehicle for a more minimalist user experience. Musk described the "fade mode" as darkening the screens to show only the "essential information" such as speed. Earlier this week, Musk announced a software update called version 9 that is expected to release "toward the end of the month". There will also be an early access program for testers to try out sometime in the next two weeks. The interior of Tesla vehicles are already quite minimalist and the new "Fade Mode" sounds like a nice addition especially for those late night drives. One criticism of the tablet-sized screen in the center console of Tesla vehicles is that the giant touchscreen could be a distraction for drivers. Perhaps this new "fade mode" will help ease the concerns of those who are easily distracted. I personally prefer "dark mode" for all of my devices and I would like to see a mode like this come to Tesla that can help dim all of the screens and sensory input to create an experience more reminiscent of a classic car.